March 17, 2016 – A year ago, Pluto was just a bright speck in the cameras of NASA’s approaching New Horizons spacecraft, not much different than its appearances in telescopes since Clyde Tombaugh discovered the then-ninth planet in 1930. But this week, in the journal Science, New Horizons scientists have authored the first comprehensive set of papers describing results from last summer’s Pluto system flyby. After a 9.5-year, 3-billion-mile journey – launching faster and traveling farther than any spacecraft to reach its primary target – New Horizons zipped by Pluto on July 14, 2015. New Horizons’ seven science instruments collected about 50 gigabits of data on the spacecraft’s digital recorders, most of it coming over nine busy days surrounding the encounter. The first close-up pictures revealed a large heart-shaped feature carved into Pluto’s surface, telling scientists that this “new” type of planetary world – the largest, brightest and first-explored in the mysterious, distant “third zone” of our solar system known as the Kuiper Belt – would be even more interesting and puzzling than models predicted. The newly published Science papers bear that out; click here for a list of top results. Scientists also are analyzing the first close-up images of Pluto’s small moons—Styx, Nix, Kerberos and Hydra. Discovered between 2005 and 2012, the four moons range in diameter from about 25 miles (40 kilometers) for Nix and Hydra to about six miles (10 kilometers) for Styx and Kerberos. 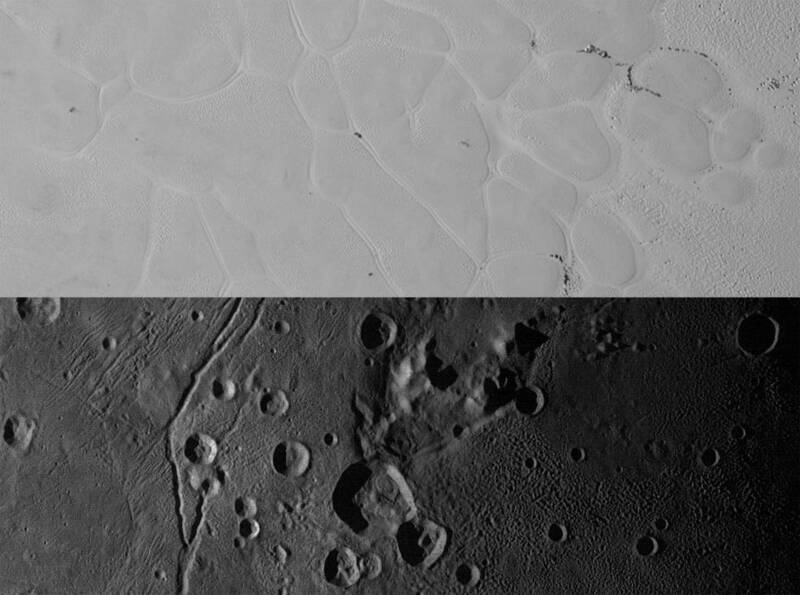 Mission scientists further observed that the small satellites have highly anomalous rotation rates and uniformly unusual pole orientations, as well as icy surfaces with brightness and colors distinctly different from those of Pluto and Charon. About half of New Horizons’ flyby data has now been transmitted home – from distances where radio signals at light speed need nearly five hours to reach Earth – with all of it expected back by the end of 2016.